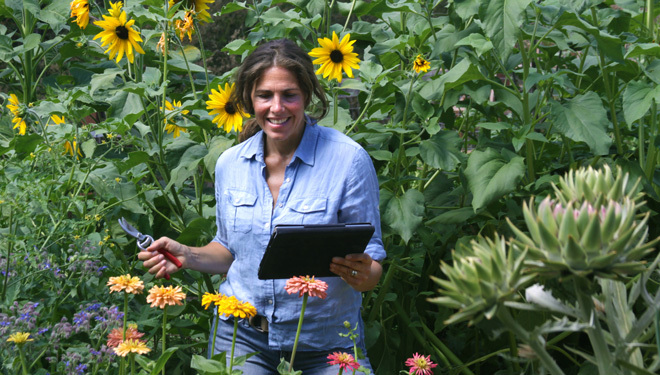 Created by lifelong gardeners with a passion for growing, Garden Tribe is a new website offering gardening classes. With carefully curated content, professional quality videos, and a user-friendly design, the online platform is a destination for all levels of gardeners. Free video shorts, with topics ranging from Landscaping with Succulents to Eco-Friendly Bouquet Arranging, are a great way to start. On-demand video classes make difficult concepts easy to understand by showing you how to do things up close and in the field. Whether demonstrating the angle of a pruning cut, showing how to transplant a particularly prickly cactus, or walking step-by-step through installing a drip system, these classes go beyond inspiration to teach practical and applicable skills. Virtual access provides anytime access to a range of teachers, no matter where you live or what your schedule. Watch right in your home—or out in the garden, if your wi-fi reaches that far! Jen Long and Beth LaDove, Garden Tribe founders, believe that one of the best parts of gardening is the opportunity for lifelong learning. Their company is named to honor gardeners continuing the age-old tradition of growing together. New for Spring! Check out the latest class, All About Orchids. Visit www.gardentribe.com to learn more.